Here in southwest Michigan, we had about 85% coverage for the solar eclipse. 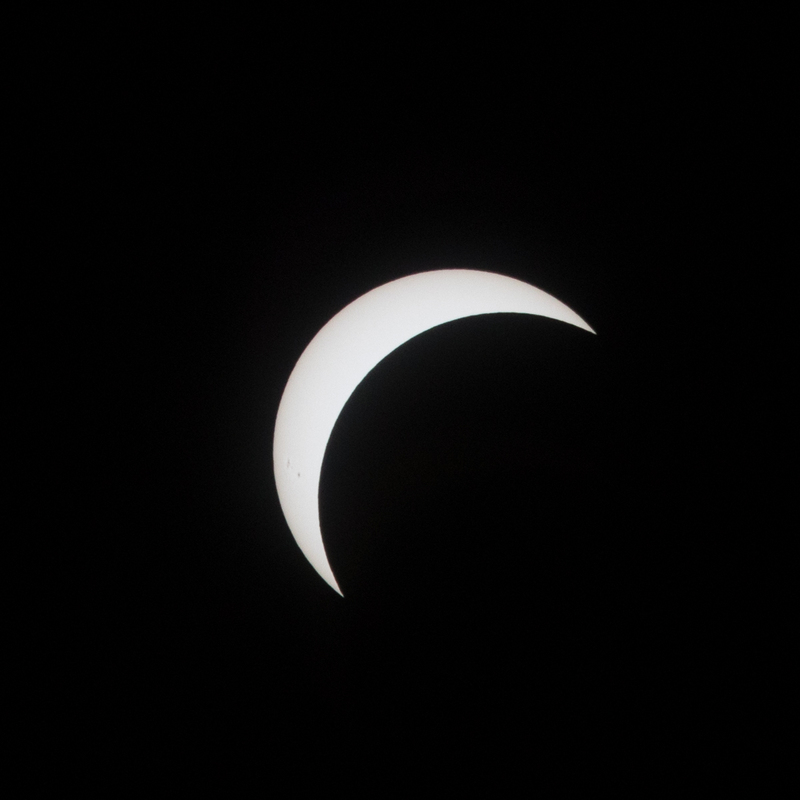 No, not the total eclipse that others had, but still a pretty neat experience. I claimed my space at the local park, got my gear set up, and watch the clouds roll in. 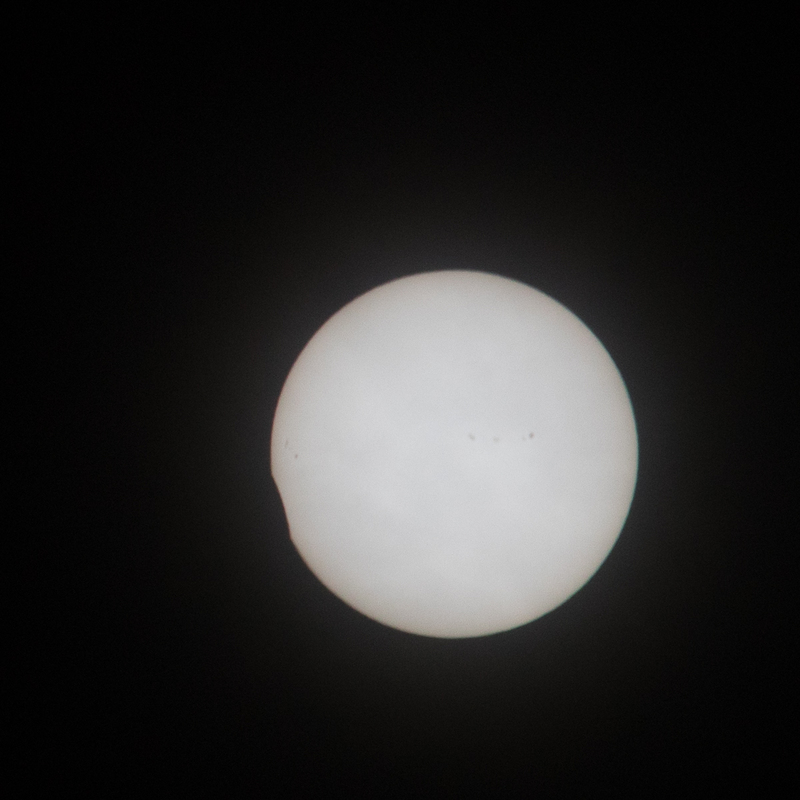 However, the clouds finally moved on and I only missed the first 15-20 minutes of the show. 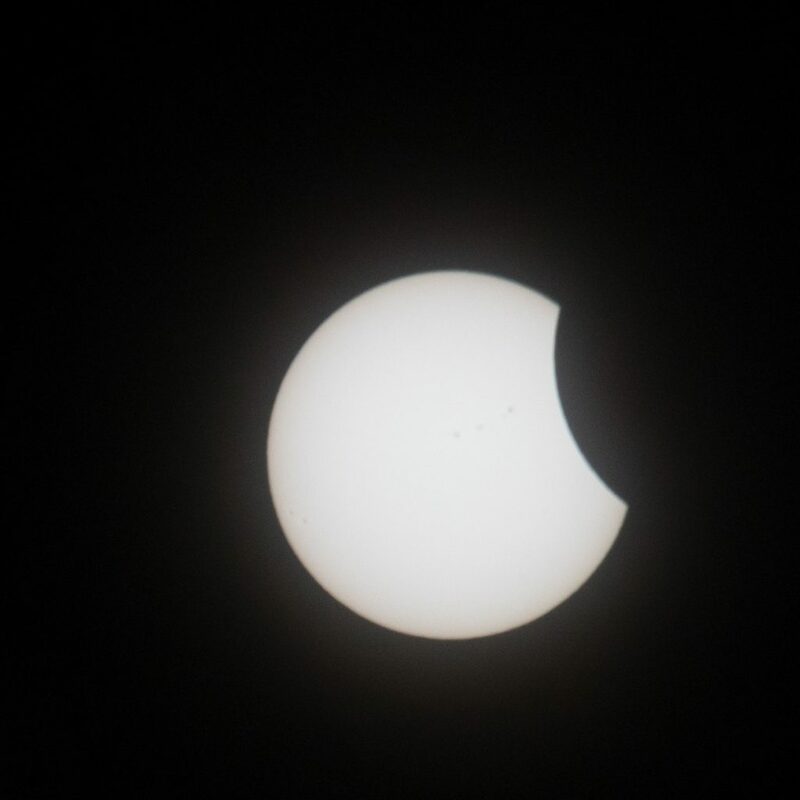 Here are three photos I got of the sun, the first I could capture after the clouds went away, near the peak coverage, and the last image of the eclipse. I’ve got a bit of work to do with the images I have, but stay tuned for more.